As many of you are aware Morph Productions moved to a new location in the middle of august this year. It was really important for me to keep the studio at my home or else my family would never see me. Equally important was keeping it in downtown Toronto near the subway. Unfortunately (or in many ways fortunately!) the houses in downtown Toronto are very old and thus have basements with really low ceilings which are not ideal for anything except storage. 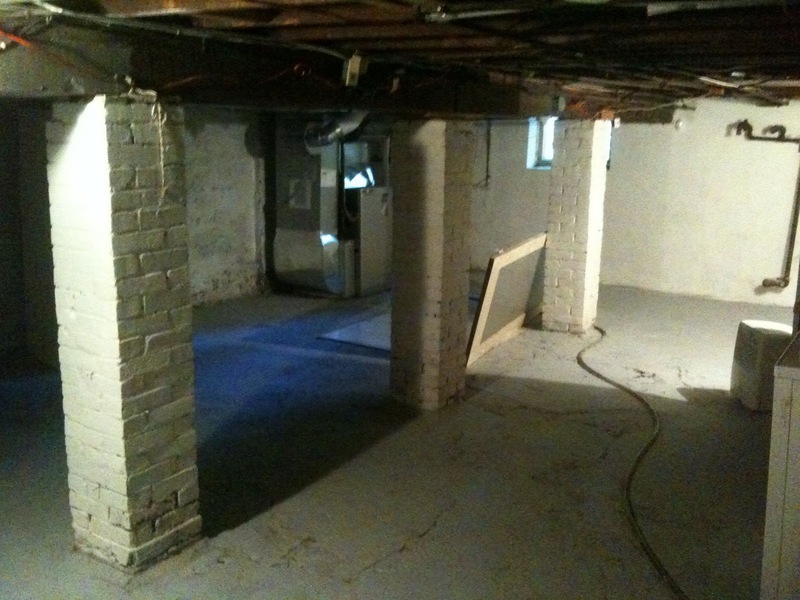 The challenge for myself and my partner was to find a place that worked for both of us at a cost that would allow us to do the reno's I needed to do to make a workable space. This would almost definitely include digging out the basement for extra ceiling height along with soundproofing and finishing. Not cheap! I jokingly called this picture "best studio ever" cause it would definitely take a lot of imagination to picture this ever being a workable space. I'm not going to go into the whole transformation in this blog but if you want to see some pics of things as the progressed go to my Morph Productions Facebook Page. In the future I'll probably do a blog about the underpinning process simply because there isn't a lot of info out there. Stay tuned for that later. So lets fast forward about a month and a half or more after the digging, underpinning and framing is done and talk about soundproofing. 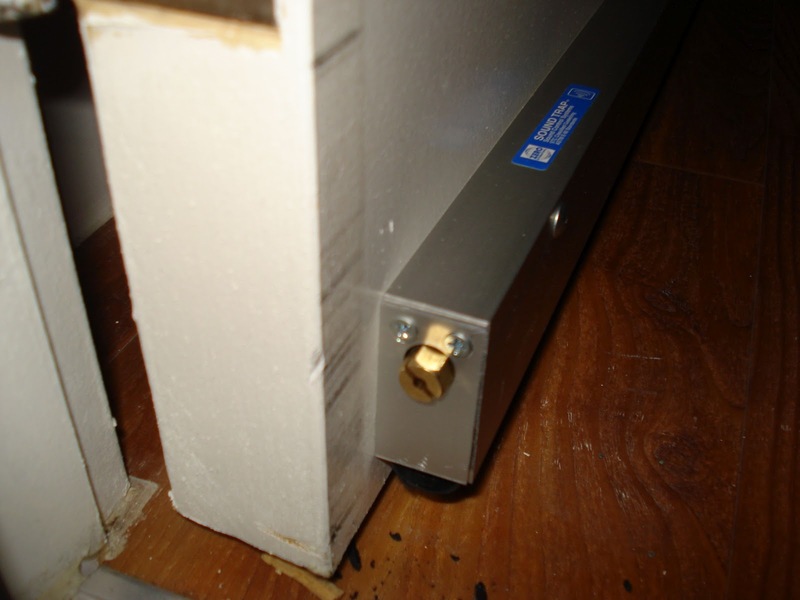 Soundproofing was of critical importance to me because in downtown Toronto houses are built pretty close together and to make things more complicated we're in a semi so we're connected to one neighbour. I also wanted to make sure I didn't disturb my family and more importantly (shhh) they didn't disturb me. 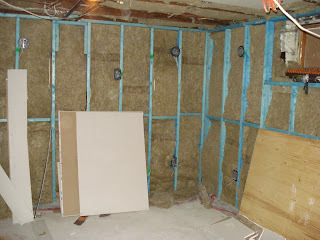 Before we proceed I should distinguish between "soundproofing" and "sound treatment". 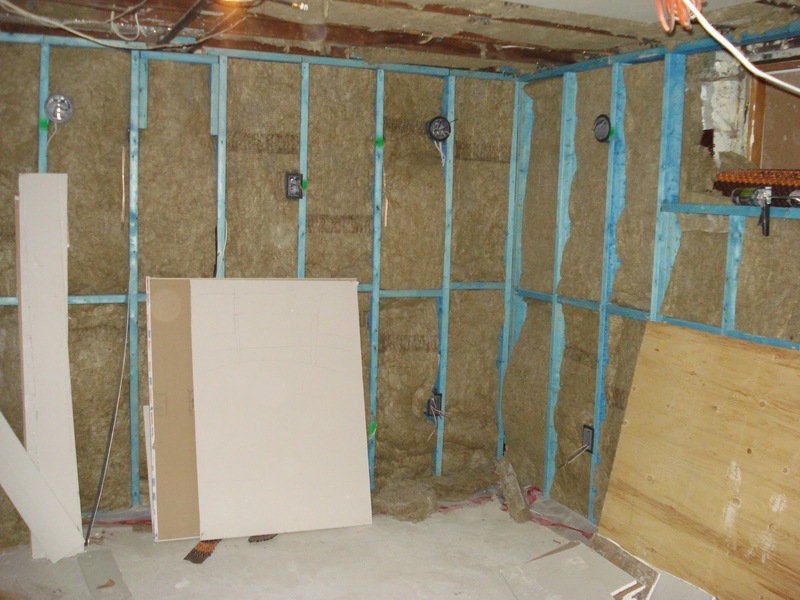 Soundproofing is keeping the sound localized in your space so you don't drive your neighbours and family nuts. Sound treatment is treating the rooms you've created so they have an optimal sound by lessening reflections from walls etc. The funny thing about soundproofing is that it actually makes the job of sound treatment more difficult because by keeping the sound in your space you actually have more sound to deal with. 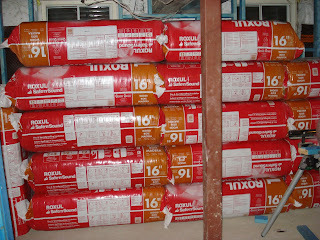 This blog is strictly about soundproofing. If you're interested in sound treatment I used Primacoustic wall panels along with their bass traps and ceiling clouds. It's great stuff! After doing a lot of research on soundproofing I opted for green glue for the walls and ceilings along with Whisper Clips for the ceilings (in some cases along with the green glue). Here is a picture tutorial of all the things I did to soundproof my new basement studio. We used more than this but man this is a lot! 3. 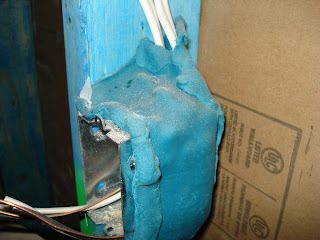 Before putting the drywall in we used Quiet Rock's "Quiet Putty" behind all electrical boxes. To up the ante a bit our contractor Enrico from Peloton Contracting used exterior electrical boxes which are better sealed than interior ones (not pictured below). As pictured the Quiet Putty wraps around the boxes to prevent the sound from escaping through them. Sound should be considered as water. 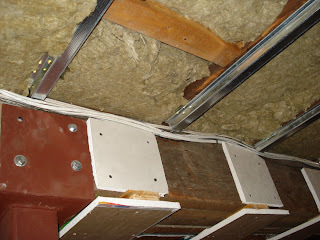 If you have a great soundproofing system that has holes in it the sound will find its way out! 4. 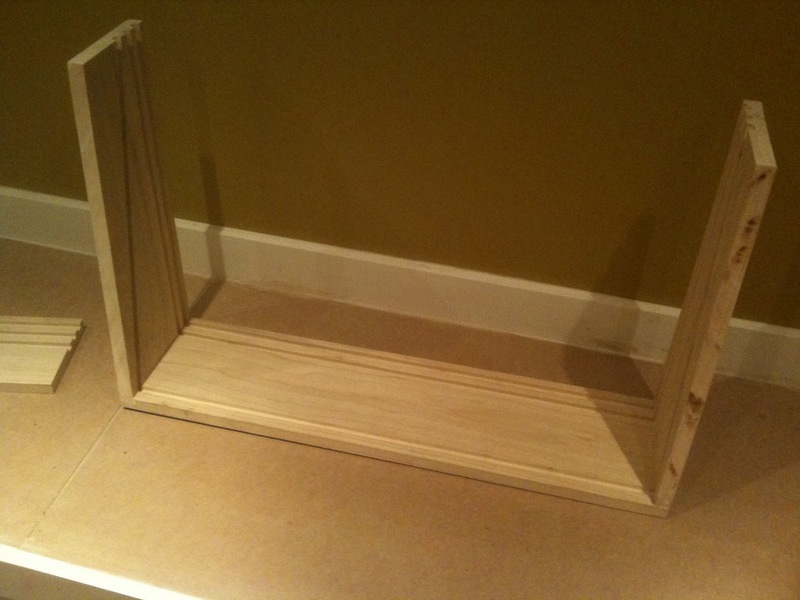 Another way for sound to escape and noise to be created is internal ducting for the studio. To make that less of an issue I got some flexible ducting at Home Depot and snaked it in S patterns within the joist to make it harder for the sound to go straight into the system and throughout the house. 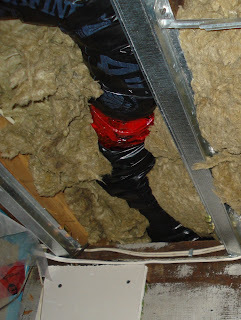 The ductwork is made up some sort of plastic tubing covered in insulation and then covered with more plastic. Will it prevent sound from moving around it entirely? Nope but it will help for sure. 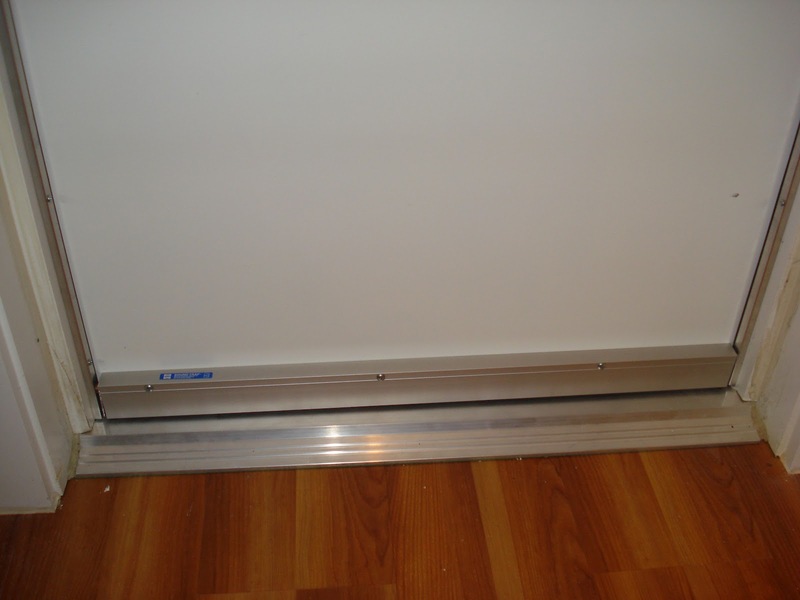 As a bonus the sound of air passing through the ductwork when the furnace/air conditioner is on is lessened as well. Not pictured is what I did to the trunk of the HVAC and ducts that led upstairs. 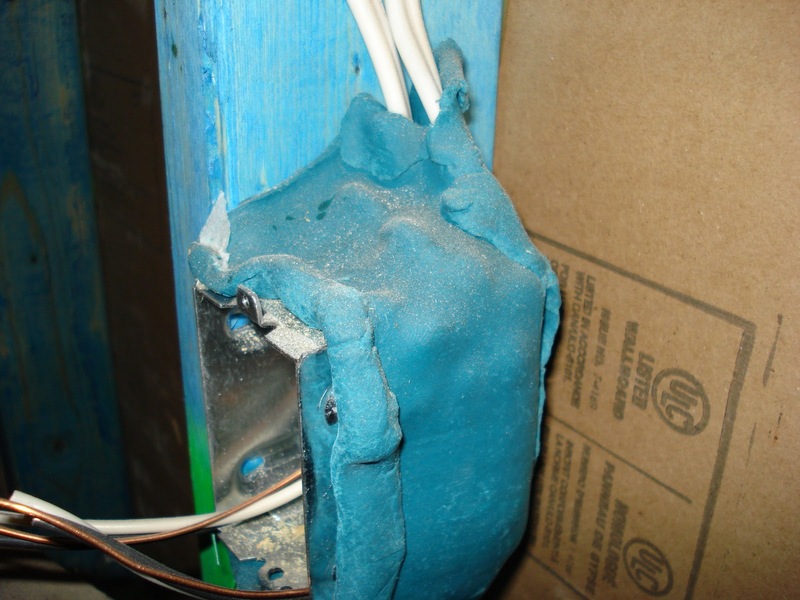 I used a sticky foam tape that had foil on it to dampen and insulate. I also got that at Home Depot. 5. For the ceilings we used the Green Glue company's "Whisper Clips" that are made to mechanically disconnect the floor above from the studio ceiling. They're basically a clip that a furring channel attaches to. 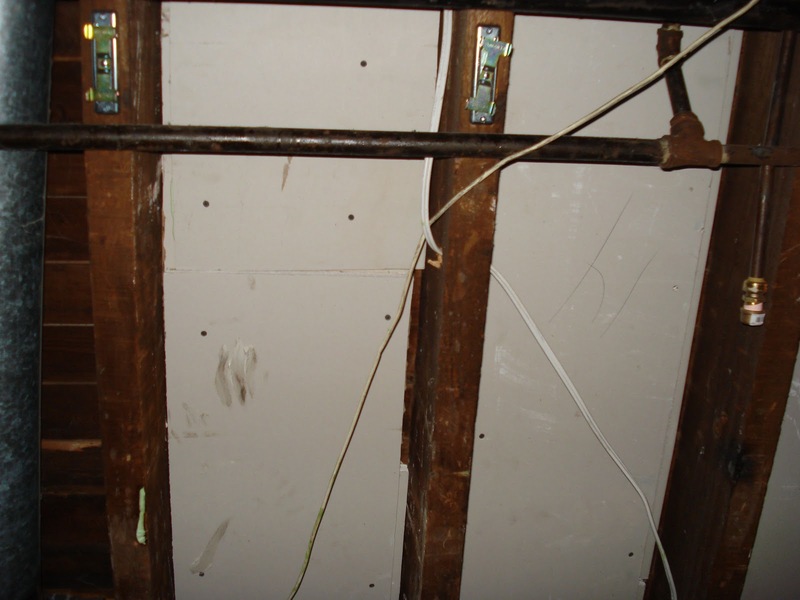 When it comes time to install the drywall it is screwed to the furring channel rather than the floor joists. If done correctly (most important is that screws used aren't long enough to penetrate the floor joists) the ceiling should flex a bit. This system was used throughout the ceiling and in the recording room an additional layer of 5/8" drywall was used with lots of green glue. 6. 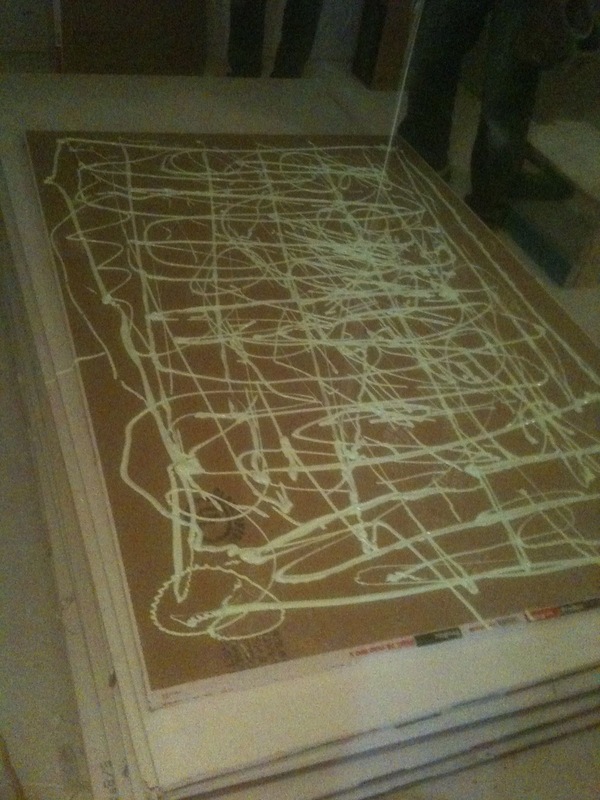 Not pictured was the extensive use of the Green Glue company's acoustic sealant. 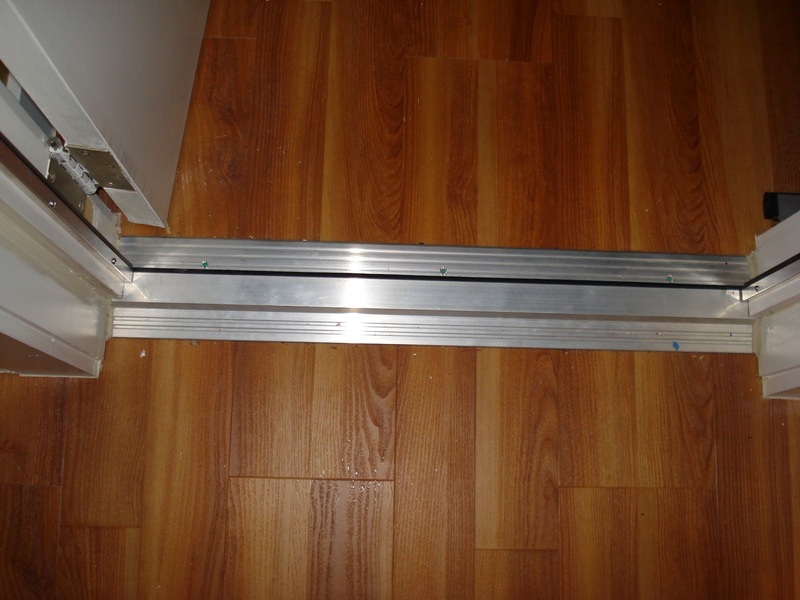 This goes around the perimeter of the drywall seams to make sure sound doesn't go out through them. 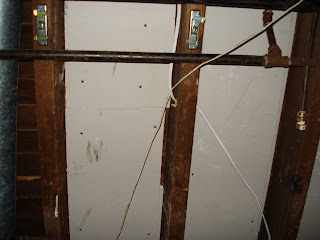 You don't have to do the internal seams as long as you make sure that the seams for both layers of drywall don't line up. As I learned the hard way you have to make sure to make your seams nice and neat or the drywall taper won't be happy with you when he's doing his job. I ended up having to scrape off a bunch of the sealant before he came. I should also mention that because of timing/supply issues I got a bottle of the competitions product "Quiet Seal" and I really didn't like it. 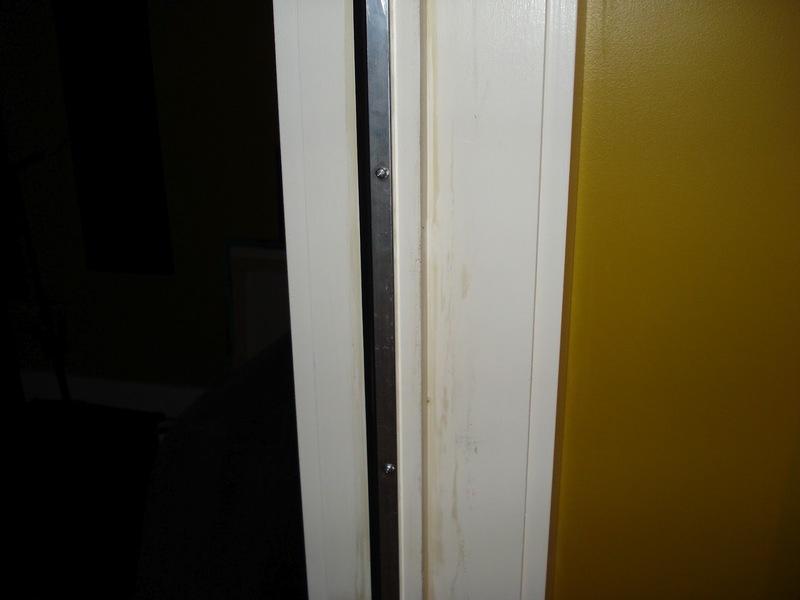 It was oil based, incredibly hard to work with and was cracking within a few days. I definitely wasn't impressed. 7. So after all that was done there was drywalling to do. I had considered Quiet Rock drywall but I had read enough on the web that it wasn't worth the price and my contractor confirmed that as well. 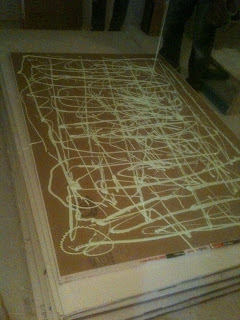 We decided to go with the thickest drywall available which is 5'8th's and we doubled it up with a healthy dose of green glue in-between. 2 tubes of green glue per 4x8 piece of drywall is recommended for the best cost benefit but for critical spaces 3 tubes is ideal. 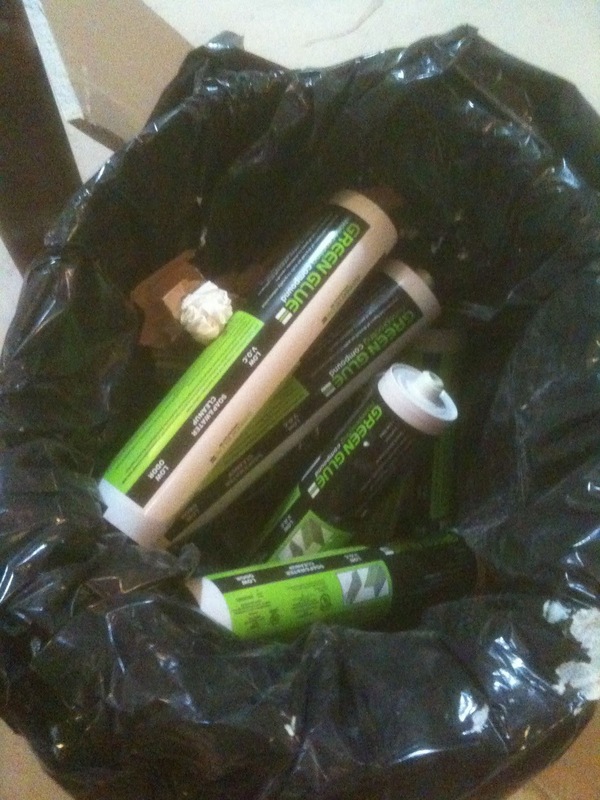 Here's a picture of 3 tubes of green glue on a piece of drywall for the recording floor. 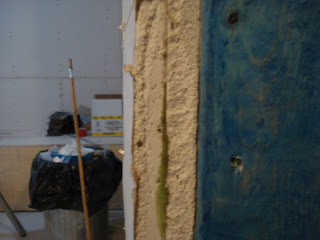 Here's a pic of some of the green glue goop escaping the drywall layers. If this place is ever demoed in the future there's going to be some very confused contractors! 8. 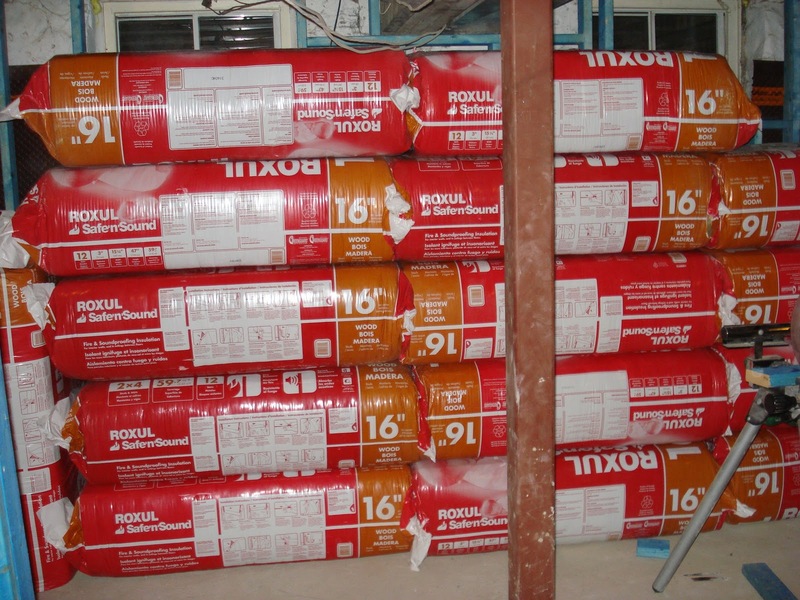 Windows are a big weak spot for soundproofing. In order to minimize this the fine folk at Peloton built a window box and inserted three pieces of thick tempered glass in it and placed the contraption over the existing window. You'll note that one piece of glass isn't as thick as the others. 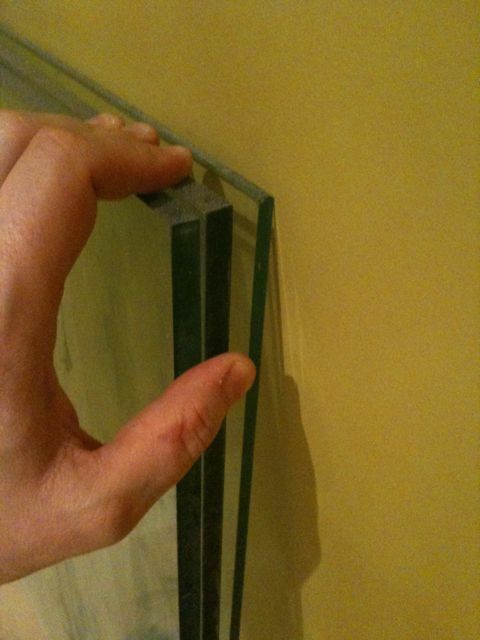 This is so the glass doesn't have the same resonating frequency. By not having the same resonating frequency the sound further gets broken up on it's way out the window and less energy is transmitted. Here's some pictures of the window box. 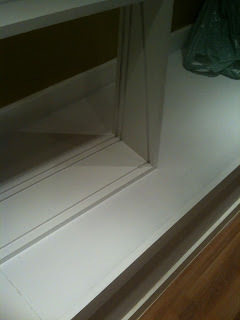 A router was used to make the grooves for the glass to fit in. Here it is installed. 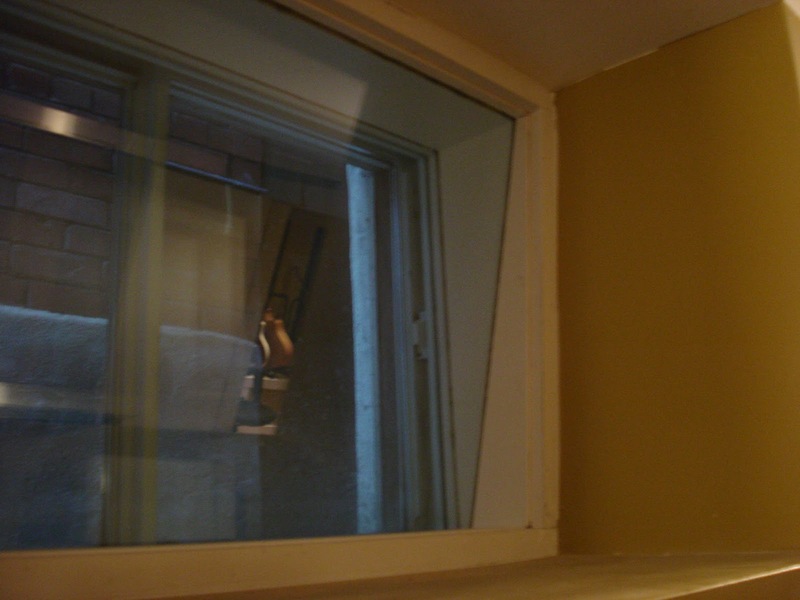 Note the internal pane of glass is tilted down so the sound bounces down to the floor instead of directly into the microphones. For additional window soundproofing I made a window plug. To see how I did that check here - Window Plug Blog. 9. The last part of the soundproofing I'm going to go over is what was done for between the live and control room. Obviously you want as little sound spilling between the two so that your signals being recorded aren't also recording spill over from you monitor speakers. You also want to make sure that what you're judging from your monitor speakers is not being affected by what's coming through a less than perfect door! 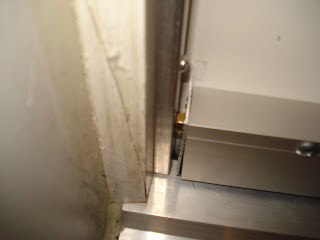 You can see the brass nut sticking out on the side in this picture. 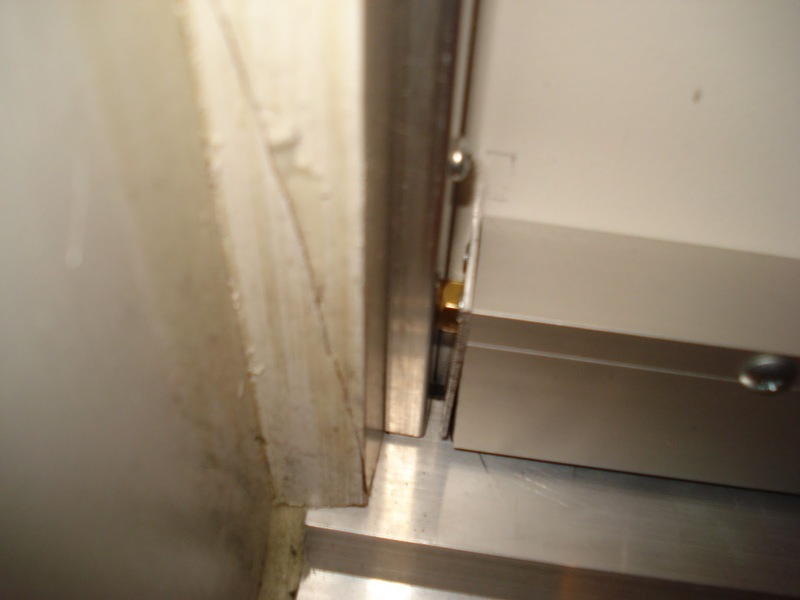 This can screw in or out to adjust how much you want the neoprene seal lowered. 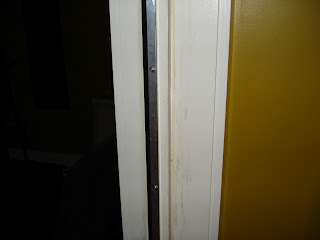 You can see the brass nut pushed in against the doorframe. This lowers the neoprene seal down on the saddle for a good seal. 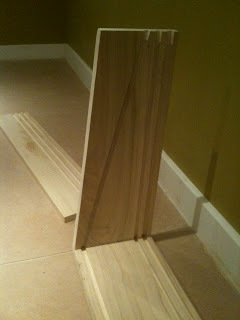 Here's the door soundproofing all together. Not pictured is the top gasket which is the same as the sides as pictured. In closing we used about 30 bags of insulation, 6 cases of green glue (72 tubes), 125 whisper clips and 16 tubes of acoustic sealant to soundproof the studio. 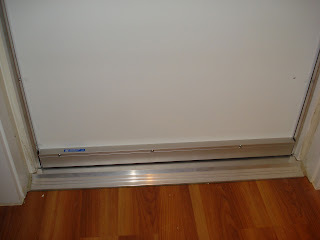 While it cost me thousands of dollars to do it was probably the least expensive part of the reno. There's many other ways to soundproof a space but I think the way we did this studio had a good cost/benefit ratio along with saving as much space as possible. It should be noted that 47db was about the residual noise in the neighbourhood (9pm friday night) because that's the level I had outside without any music playing at all. To give you an idea of a relative measurement a small car driving past gave me a reading of 69db. Anecdotally the sound coming out of the house was noticeably quieter with the plug installed in the window but considering how loud it was inside it was barely audible outside with or without the plug. Good news indeed! If I get a chance I'll retest with a more professional db meter if the opportunity arises.